Sustainable Development is a two-year Master’s programme (120 ECTS) taught in English and consisting of courses, projects, and research. You will be taking courses throughout the whole first year and the beginning of your second year. The remainder of the second year is devoted to Master Thesis research. There are three kinds of courses in the programme: general courses, track courses, and elective courses. 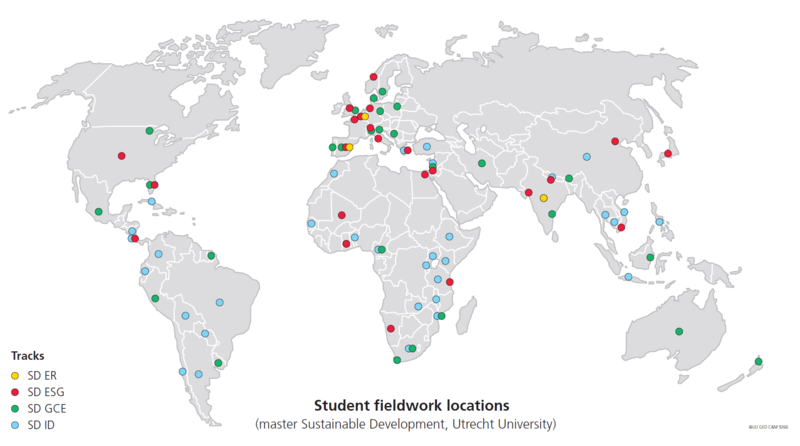 Students also go to countries all over the world to do fieldwork for their Master’s Thesis, see overview below.